Mommy Wars- Call a Truce. I made the mistake of reading the comments section of an article about Lean In author, Sheryl Sandberg. I’m old enough to know better, but after avoiding comment sections for months, my faith in humanity recovered and it was time to knock it down again. Comment sections are brutally efficient for this purpose. The article was about the continuing controversy surrounding her book. Most of the comments were hackneyed dismissals of her person, not the content of her book, many convoluting her career choices with her parenting choices, each comment revealing more about its writer than it said about Sandberg. Blech. Enough. Grow up. 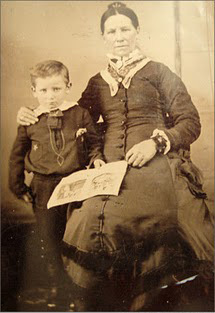 Wyatt Earp and his Mom. I’ll bet she didn’t even have a Moby wrap. There are so many ways to parent because parents and children are all maddeningly varied and their interactions complicated. Ploys work for a while, or for one child, and then must be amended or discarded. If your children’s clothes are stained because you make them do their own laundry- kudos! If they eat McDonalds on the way to tuba lessons because you can’t work, cook, and get homework done- awesome, they get music lessons! If you store your homemade, organic, locally sourced baby food in BPA-free jars- wow, this is really important to you! If you chew up a granola bar and then feed it to your baby, a la Alicia Silverstone– I will not bat an eye. That is among the more benign things they will ingest and I’d like the parent who never licked off a pacifier to please come forward so we can wonder why he’s so weird. 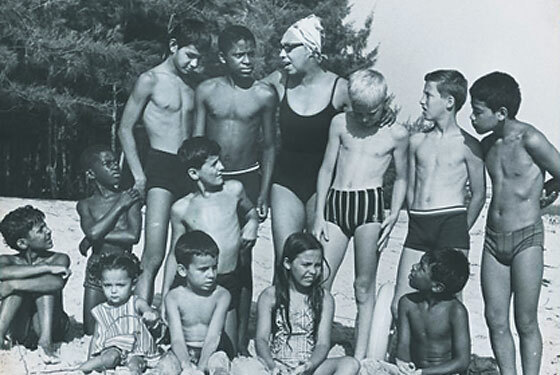 Josephine Baker and her rather unconventional family. The only parenting experts are those who aren’t parenting at the moment. I write and read about parenting because it helps me sort out goals and lay plans. The only thing at which I’m expert is getting back up after falling on my parental face. Talk is cheap. Opinion is a wisp of smoke. Action and results are the only things that matter. What is true in war is true in parenting- No plan ever survives contact with the enemy. In the quiet of evening, I resolve not to yell because it isn’t effective. I plan to set aside time to teach Bear to embroider to enrich his mind and our relationship. I say that I will not morph into a harpy of rage when practicing music with Q because it is detrimental to everyone. The next day, I do it all… until the children wake up. AJ makes us late and I yell, “Where are your shoes!” I weed the garden instead of embroider with Bear. I get so frustrated during music practice that I close myself in the bathroom and scream into a bath towel. Maybe I am inadequately equipped for parenting. If that is the case, then I am a member of a big club. The parents I know reasonably well struggle, search out new tactics, try stuff, find something that kind of works and pray it keeps working (It never does.) They struggle to manage their own natures as they teach their children to manage theirs. 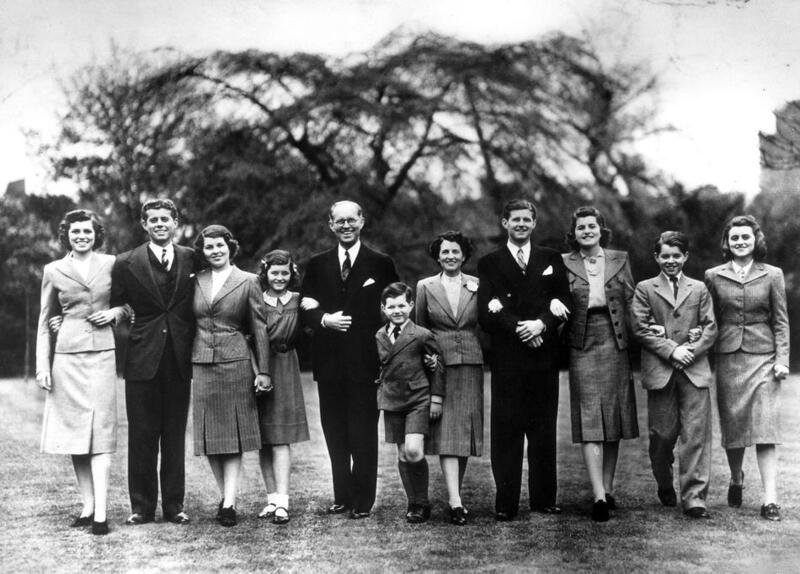 The Kennedys. Everyone struggles, even parents with the most enviable exteriors. I am glad the dad at the park brought his child out to play, even if dad’s smoking. I have only sympathy for the mother trying to get through the grocery store by feeding her child Skittles the whole time. I do not know how the rest of her day has gone, or what else she’s got going on in her life. I get judgy like everyone else, but I remind myself that it is foolish and futile, especially when I’ve got my own trio of young humans to manage. Peace with the life I’ve made comes from owning my choices and reminding myself of the good things that grow out of those choices, instead of envying the things I don’t have. Confidence in my parenting stems from seeing my children’s growth and behavior move in a positive direction. It does not come from judging my efforts as superior or the wholesale dismissal of another’s experience. If it were that easy, I’d get myself a gavel and judge with abandon. It would be easier than relying on results to confirm my work. Read Sandberg, Sears, Dobson, Chua- a broad variety of experience and philosophy. See what they offer and get familiar with other ways of approaching the struggle. The only goals are respecting ourselves while raising healthy, wise, confident adults who can stumble through their own adulthood at least as well as their parents and maybe, (if we’re really overachievers,) a little bit better. If someone else has managed to do that; they’re worth a listen. Even if you don’t buy all their suggestions, you’ll learn something. Abandon the Mommy Wars. They are an utter waste of time and energy when we all need help, understanding, and to feel free to find the things that work for us and our children, here, in this moment. Post Script: To that end, I do not hate advice. I do not equate being offered advice with being judged as failing. Frankly, if your advice is good, you can judge me however you like. I don’t give a fig. If I’m struggling and something worked for you, please, share it! I take all helpfully offered suggestions seriously and with a good attitude. I want all the help and wisdom of the ages to get my children from birth-20 as best as is possible for them and for me. This entry was posted in Growing People, Uncategorized and tagged Children, family, Lean-In, mommy wars, motherhood, Parenting. “The only parenting experts are those who aren’t parenting at the moment.” — brilliant, and absolutely true. The second our twins hit toddlerhood, we realized we didn’t know anything! We’re reading Lean In and loving it. Yup. Nothing humbles like jumping into the deep end. But if you think you’ve got it all sorted, you aren’t paying close attention. And twins! I wish you and your partner a good night’s sleep and a stiff drink. Thanks for reading, Chica! I just finished Lean in. I found her respectful and kind of charming. After reading it, I’m even more convinced that the kerfluffle is hype. We spent many nights in the trenches of helping our babes sleep well, but it pays off now, thank god. At least until they are still sleeping in cribs. 🙂 After that, we might need more stiff drinks than we currently consume!